FISA Court agreed with Wyden that the government had “circumvented the spirit of the law.” Wired called it a “federal sidestep of a major section of the Foreign Intelligence Surveillance Act,” and the Wall Street Journal confirmed it “represented the first time the government has acknowledged U.S. spy activities violated the constitution since the passage of” the FAA in 2008. This is vital information, as Congress is in the midst of debate over extending Section 702 of the FAA before it expires at the end of the year. Section 702 severely weakened privacy protections for Americans communicating overseas, and may have swallowed protections against surveillance of our domestic communications as well. But it’s also important to take a step back here to understand how we know this and why that process is deeply troubling. Apparently, the secret FISA court—at some point—ruled that the government was violating the Constitution. When? We have no idea. How many Americans were affected? We don’t know that either. As Cato Institute’s Julian Sanchez pointed out, these requests can be incredibly broad—a single incident could potentially impact millions of Americans. Were there any remedies or was the NSA just given a slap on the wrist? Again, we don’t know. And remember, the declassified statement says “on at least one occasion” so there very likely could be more. Previously, the NSA told Sen. Wyden it was not possible to count the number of Americans affected by FAA surveillance. Rather unbelievably, the NSA also stated that even a general estimate of how many people the NSA had spied on would somehow violate the privacy of those same Americans. Wyden had been warning the American people for months in vague terms that the government was overstepping its bounds in its interpretation of 702. Now, the only reason we’ve learned the barest minimum about of the sidestepping of a public law and the Bill of Rights is because the very same government agency that was responsible for the wrongdoing allowed it. Congress can and should force the administration to answer all of these questions in public, so that we can allow the democratic process to determine whether 702 should be extended. Of course, many major news outlets had been reporting since just after the FAA passed (here, here, and here for starters) that Americans’ communications were still being collected by the NSA without a warrant. Yet Congress has steadfastly refused to fix the problem. Both House and Senate committees recently voted down amendments that would have added privacy safeguards and transparency requirements to the law, claiming no such evidence existed. Sen. Wyden, on the other hand, has been alleging that “section 702 [of the Act] currently contains a loophole that could be used to circumvent traditional warrant protections and search for the communications of a potentially large number of American citizens.” But Wyden’s amendment that would have required a warrant to search the communications of a specific American was voted down 13-2 after Intelligence committee chairman Dianne Feinstein insisted there was no such loophole. Sen. Feinstein’s assurances seem to conflict with the DNI’s statement. 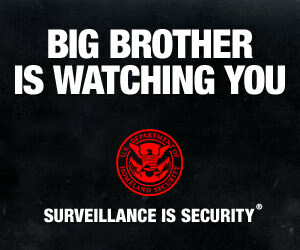 Similarly, when Rep. John Conyers implored his House colleagues to vote for an amendment requiring the government give a general estimate how many times Americans’ communications had been collected without a warrant, Rep. Dan Lungren (R-California) shot back: “What evidence is there that it is being used to spy on Americans?” The amendment failed 11-20. Congress may be able to ignore reports in the media that the NSA is still collecting Americans’ emails, but it should not ignore the admission from the DNI itself. Congress must now drastically overhaul this law to prevent further abuses of the Constitution or vote down entirely. Trevor Timm is an Activist at the Electronic Frontier Foundation. He specializes in free speech issues and government transparency.